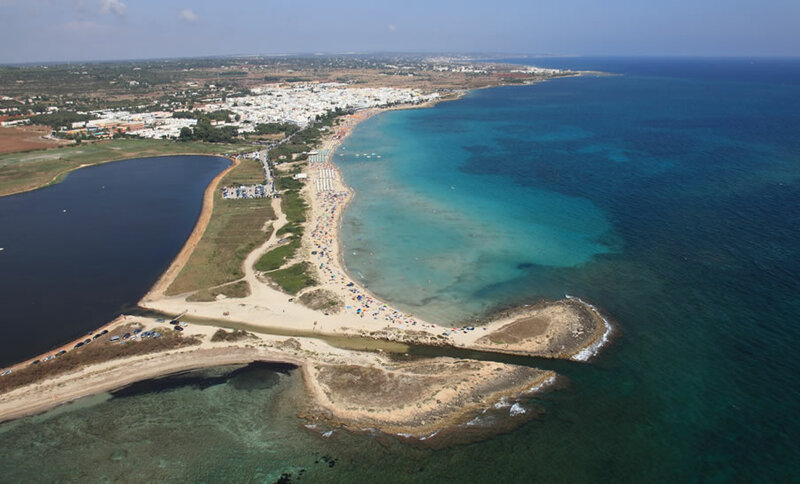 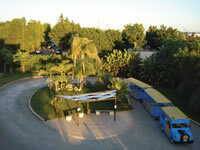 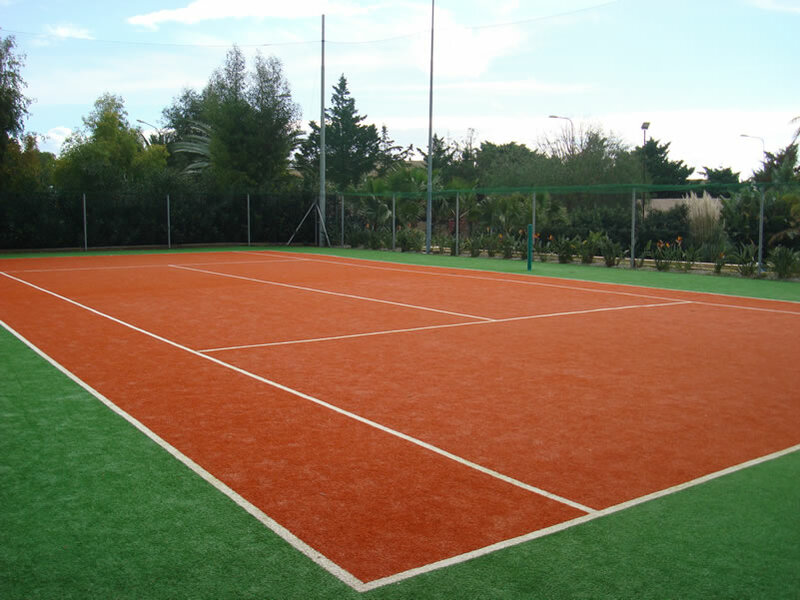 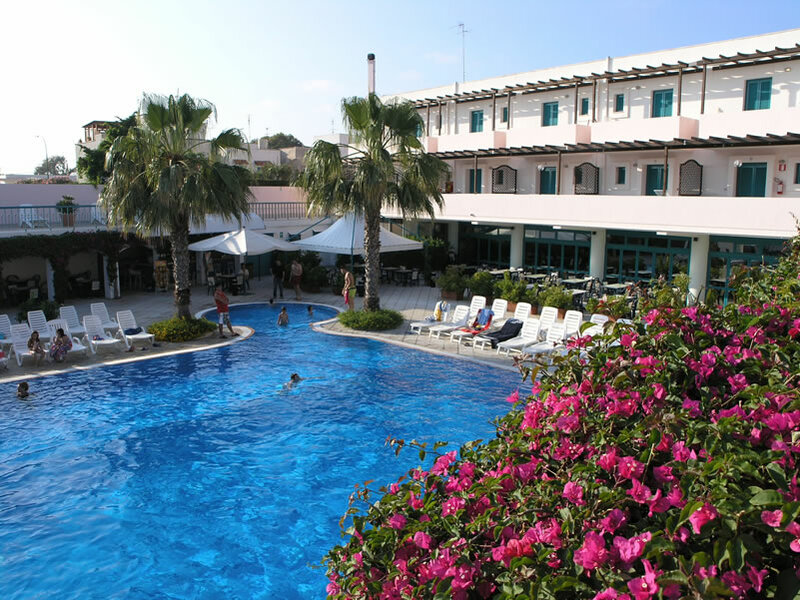 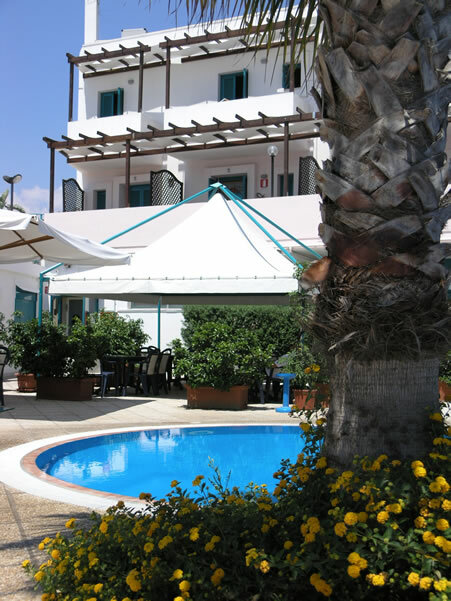 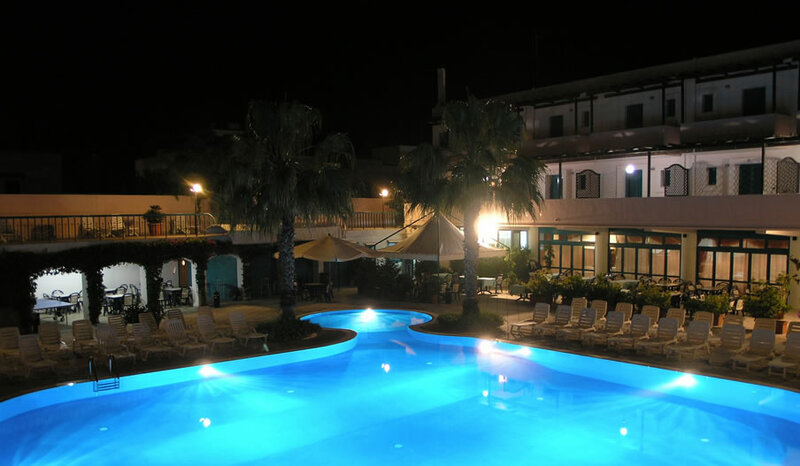 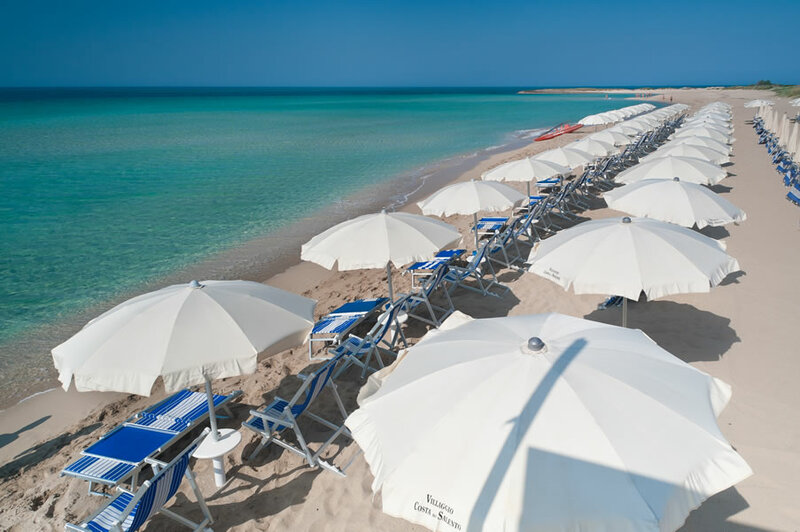 Costa del Salento Village is a residential complex on the Ionian coast, south of Gallipoli. 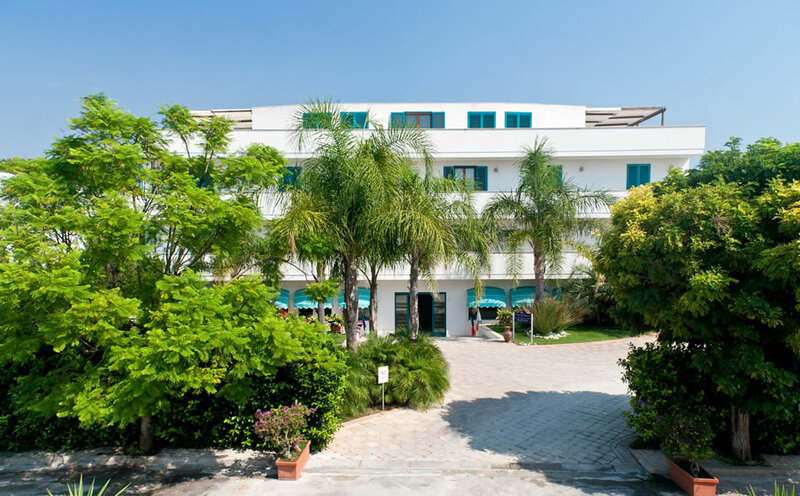 It consists of a main hotel and two-storey buildings where apartments with 2 or 3 rooms and independent entrance are located. 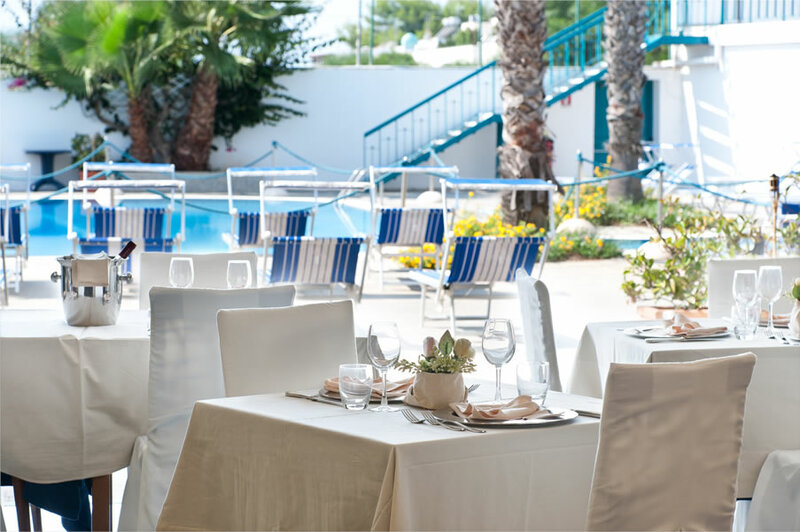 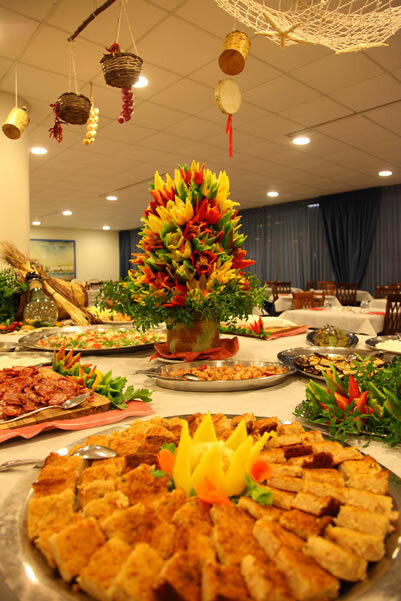 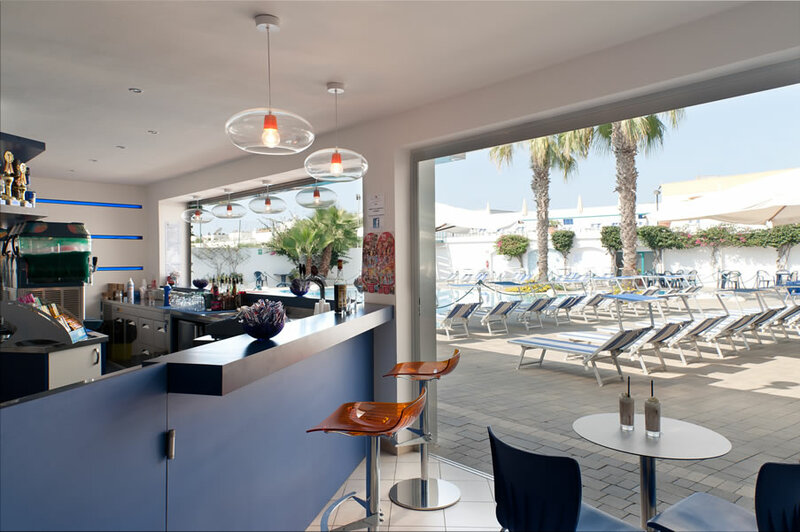 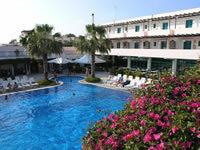 The Lounge Bar on the beach and the Restaurant overlooking the swimming pool are suitable for weddings and events. 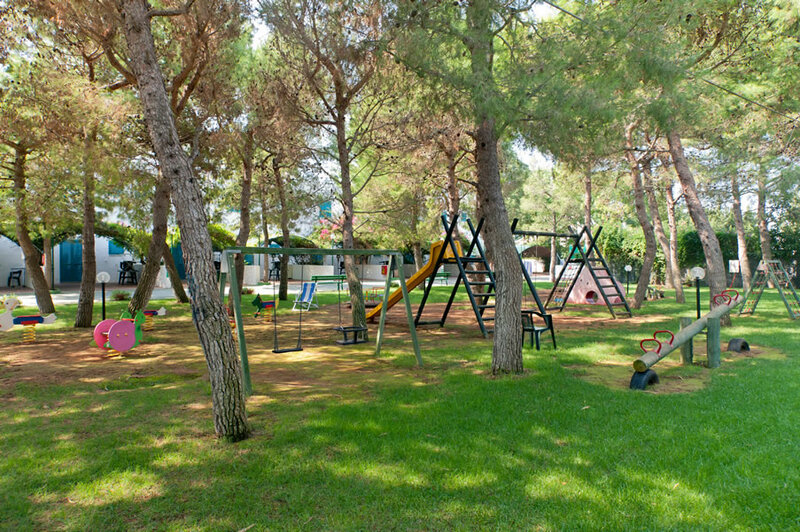 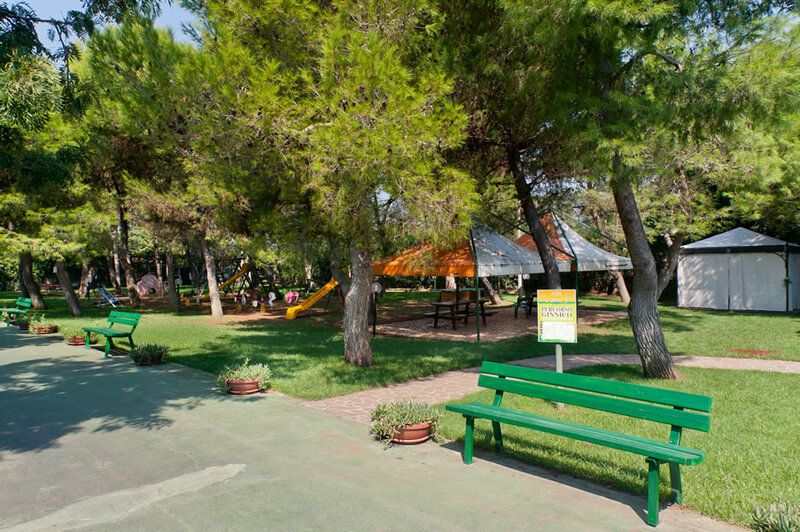 The Club Card entitles you to the following facilities: use of the outdoor swimming pool, daytime use of sports fields, jogging path in the pine grove, daytime and evening entertainment, mini club, junior club, shuttle to/from the beach, beach equipment (1 umbrella and 2 chairs per apartment/room), canoes, outdoor parking. 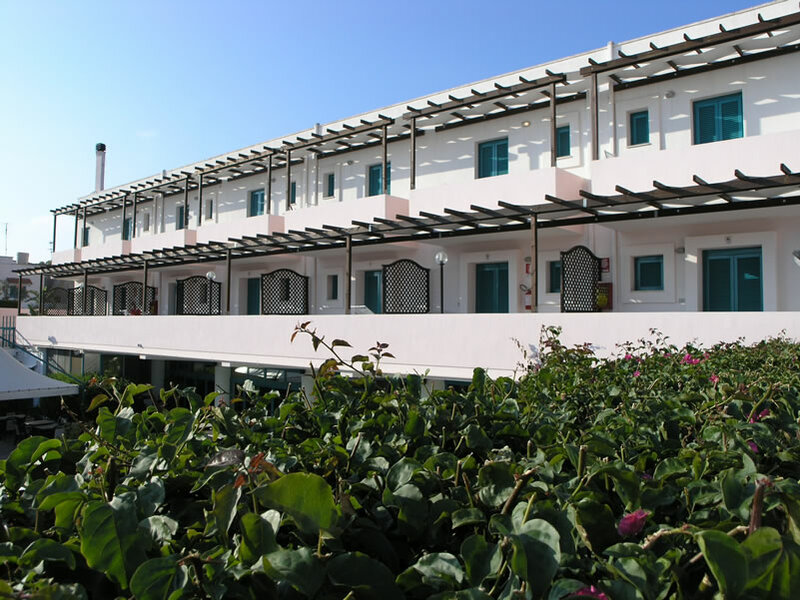 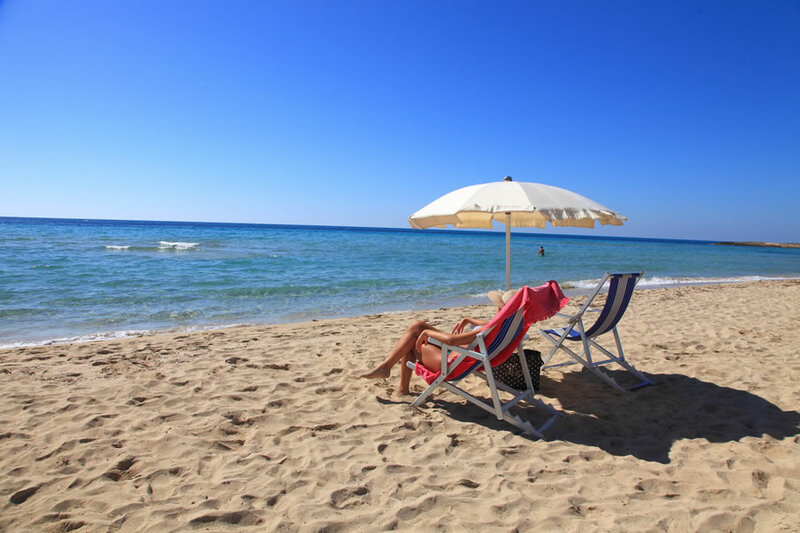 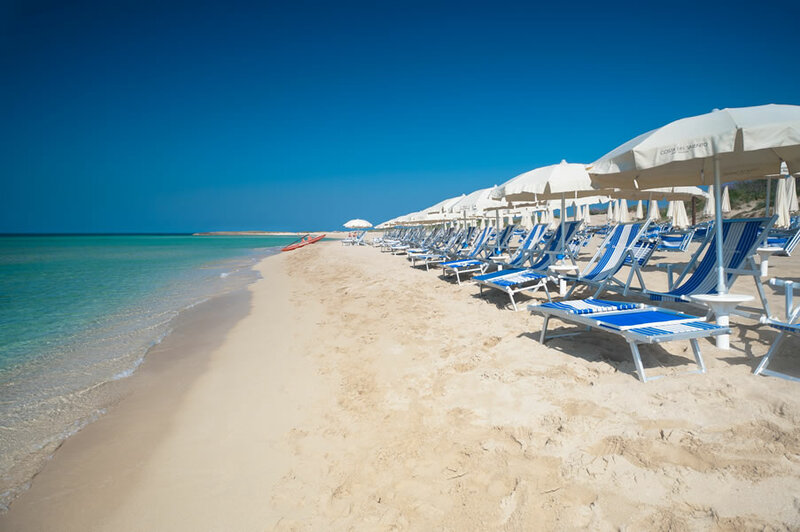 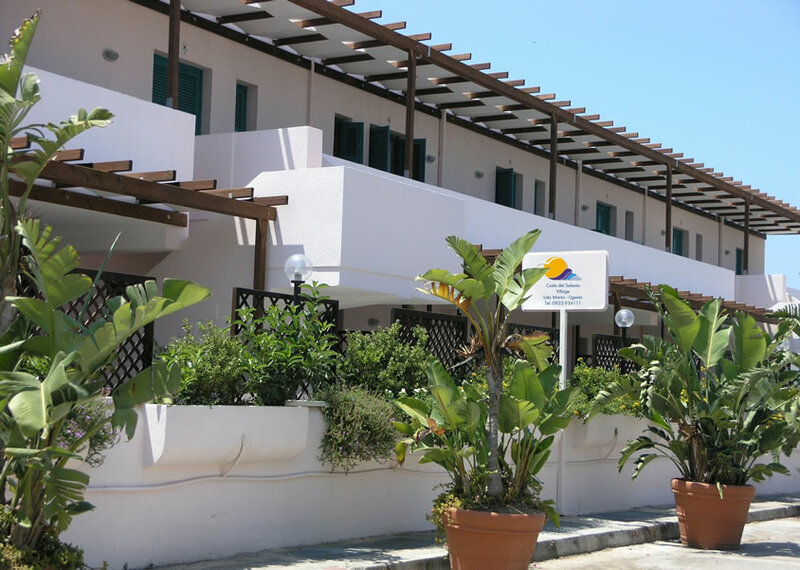 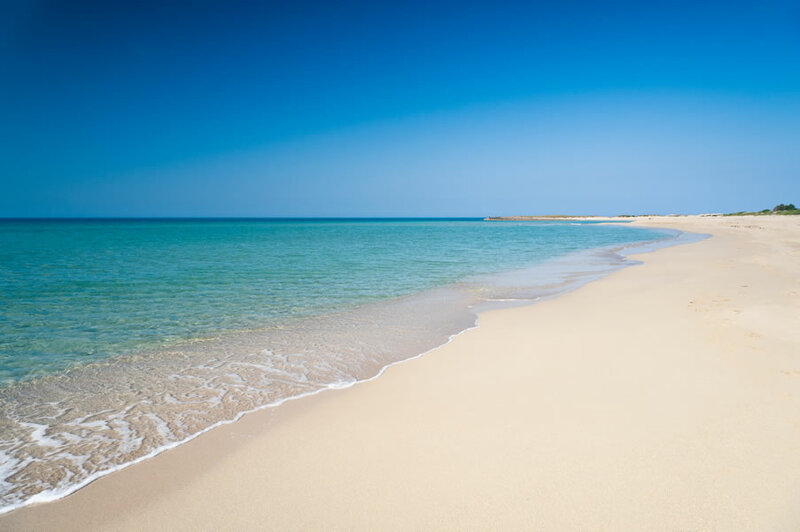 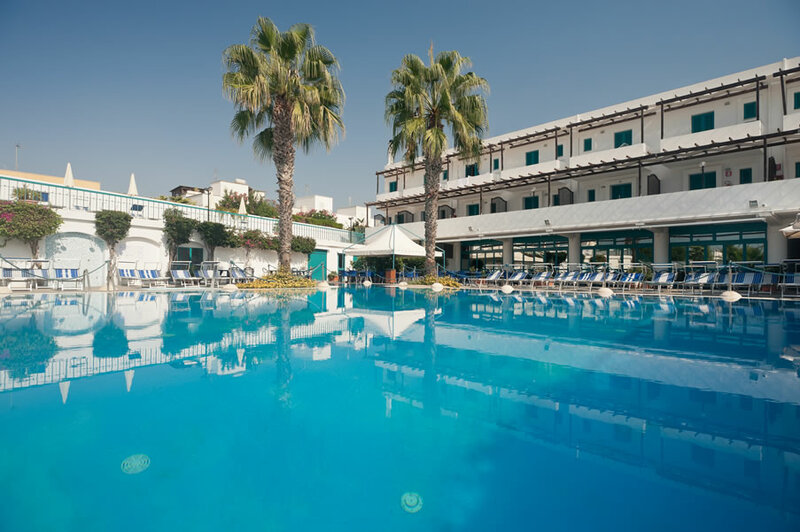 Costa del Salento Village has hotel rooms (half board or full board) and self catering apartments with two or three rooms. 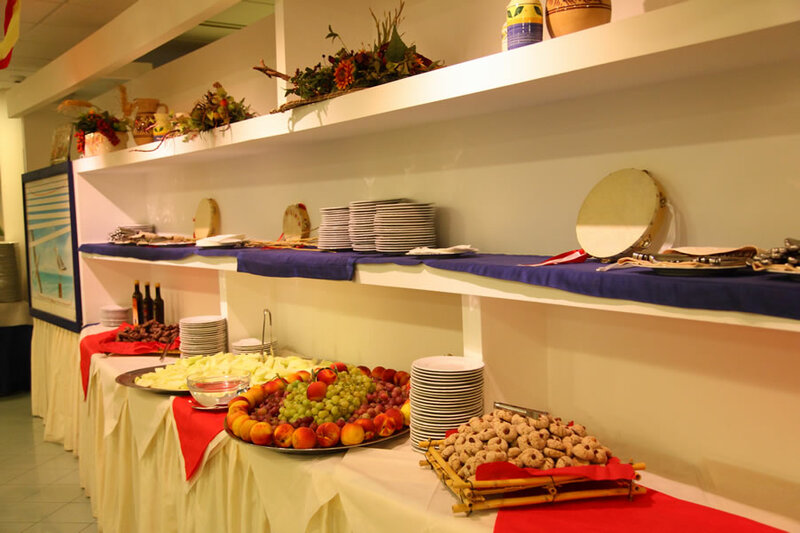 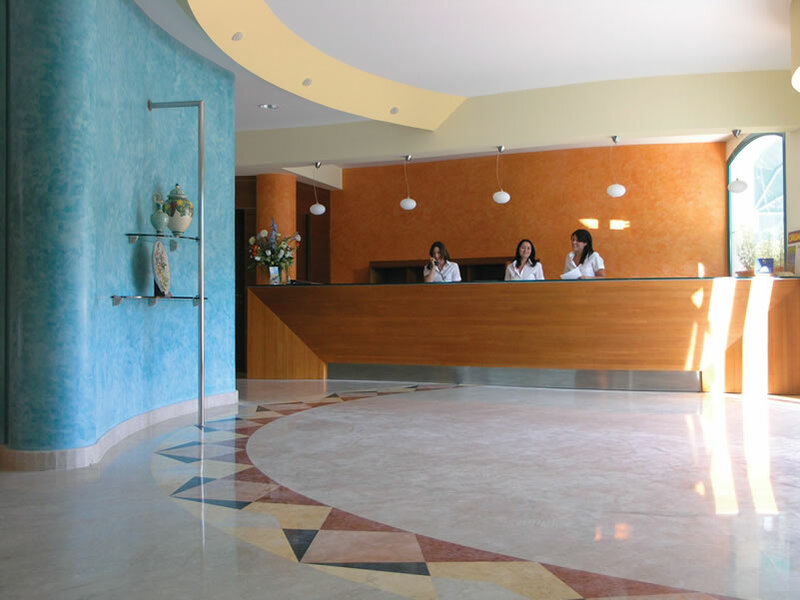 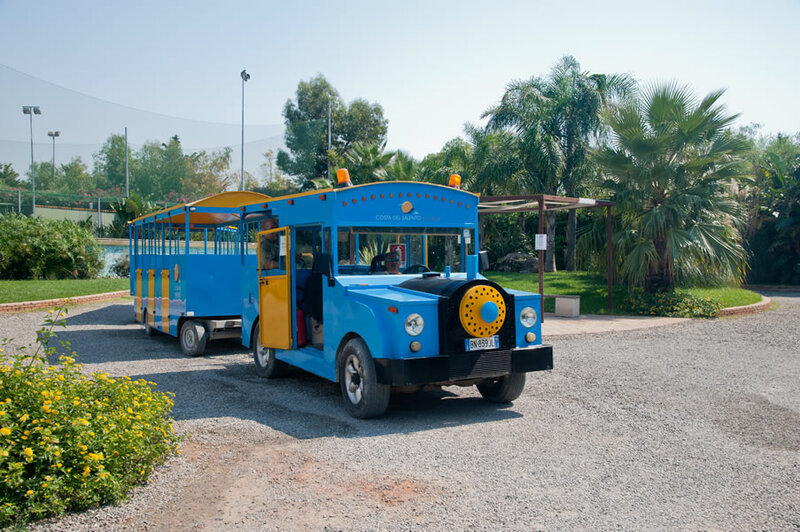 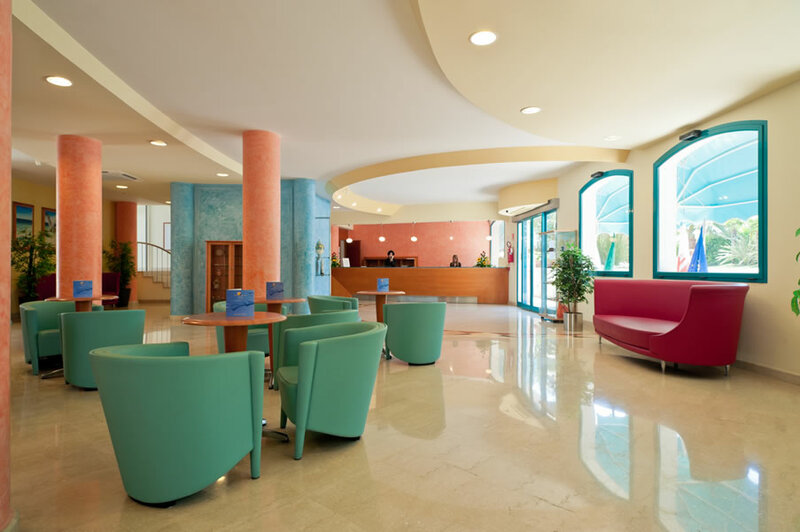 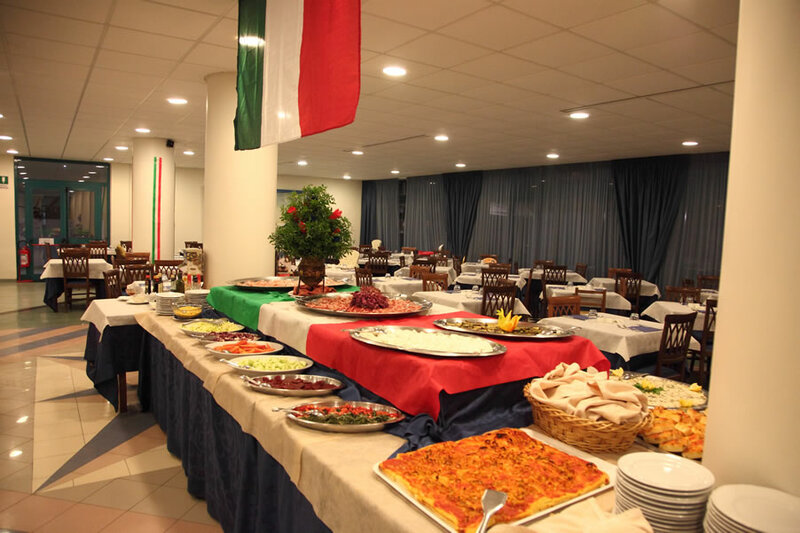 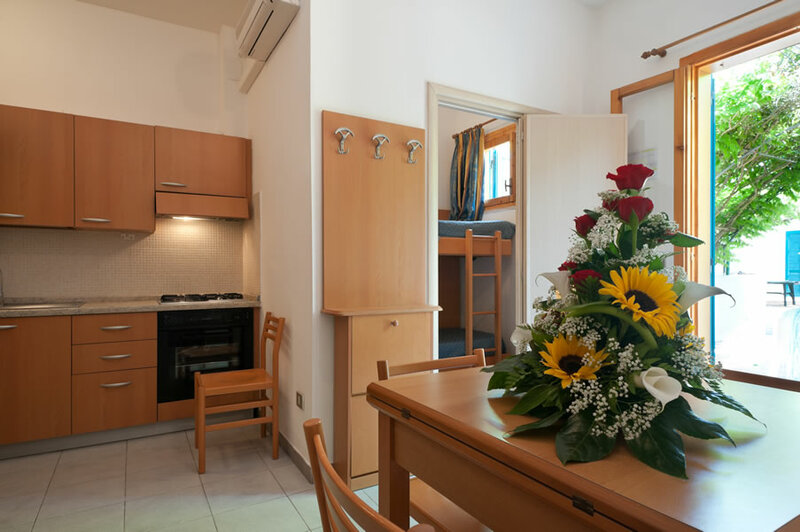 The hotel formula is applied, depending on availability at the time of booking, to the 2+2 rooms, the village double rooms or the apartments, where you can use the kitchenette if you choose the half board plan. 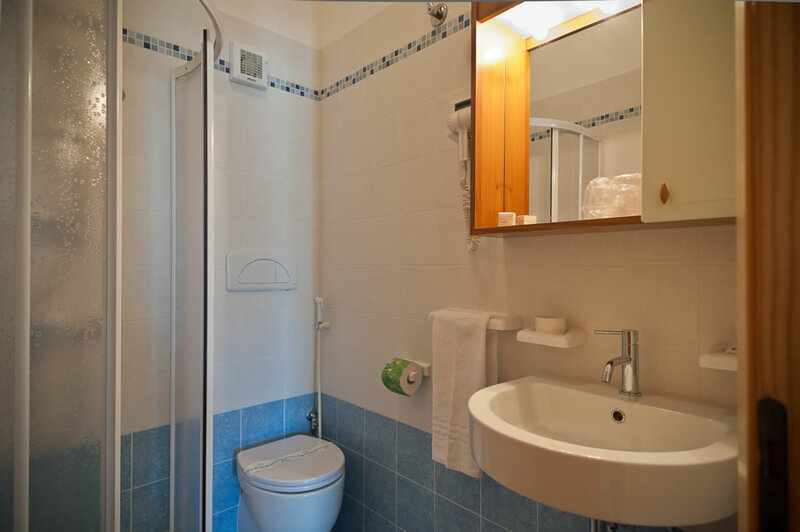 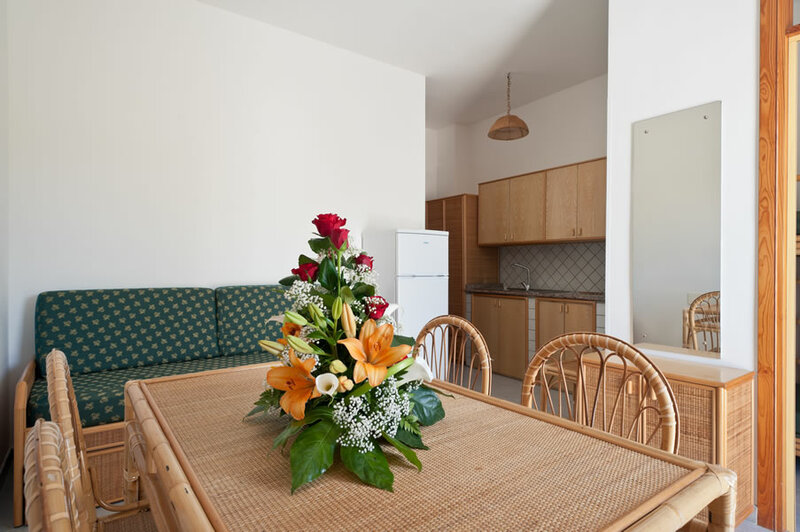 All rooms and apartments are equipped with air conditioning, safe, bathroom with shower and hairdryer, balcony or patio, telephone and satellite TV. 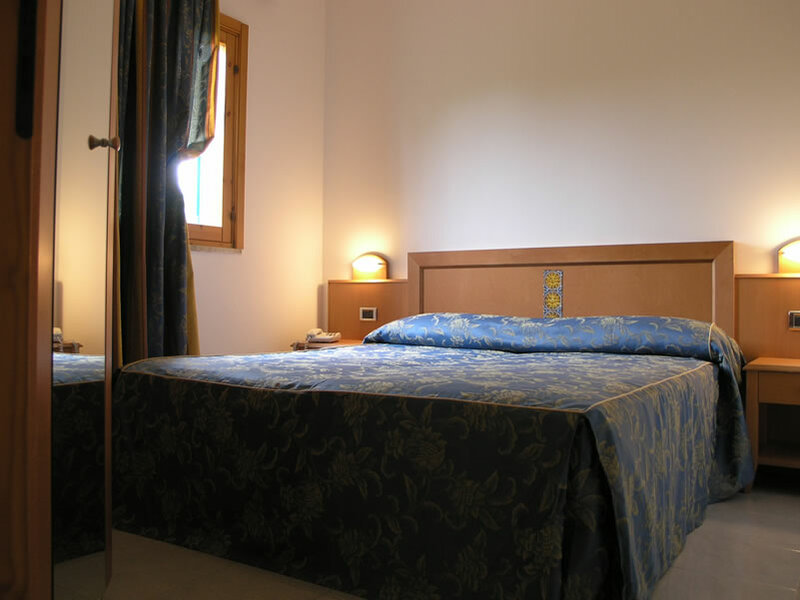 The Village Double Rooms, with double bed and minibar upon request, are adjacent to the hotel. 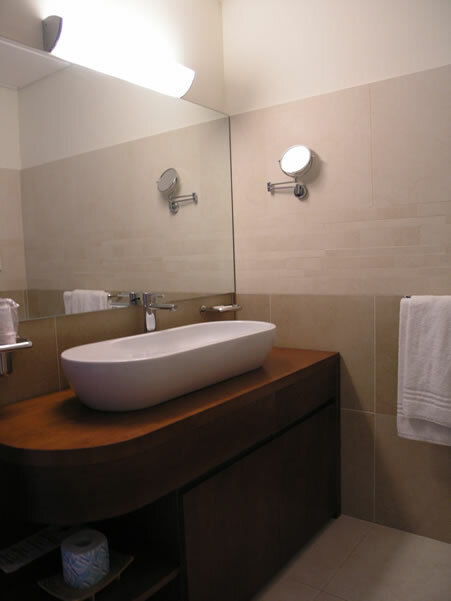 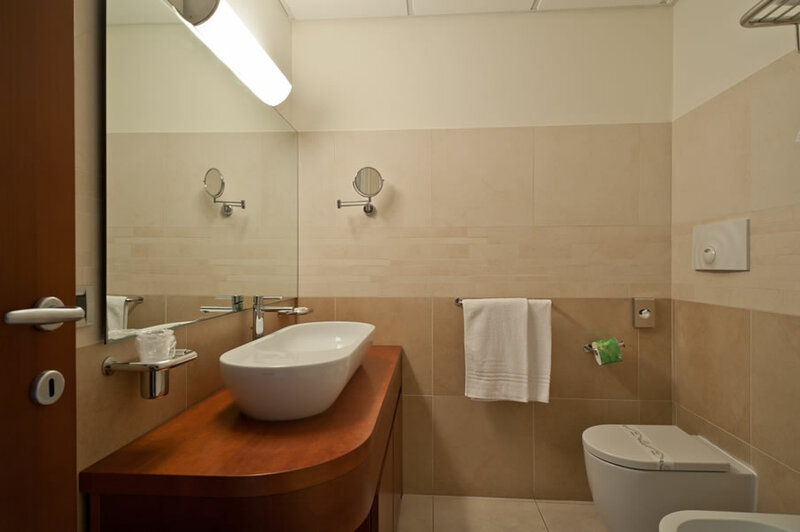 The 2+2 Hotel Rooms also feature private terrace, double bed and bunk beds, minibar (upon request) and jacuzzi shower. 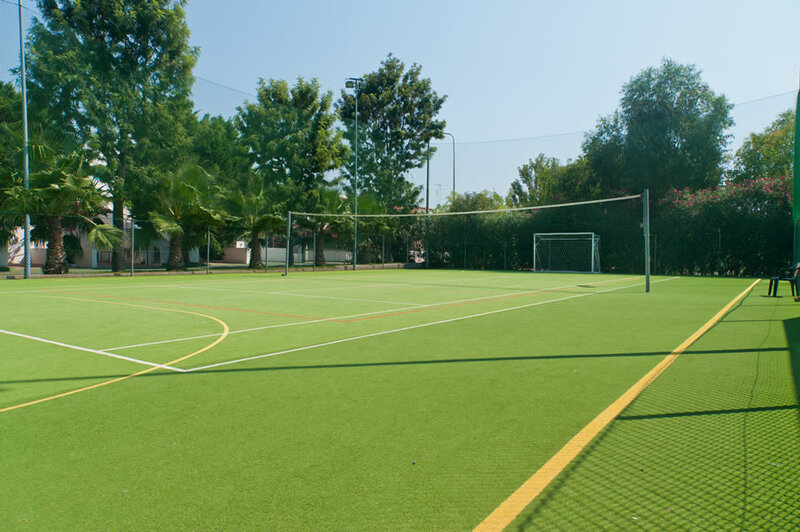 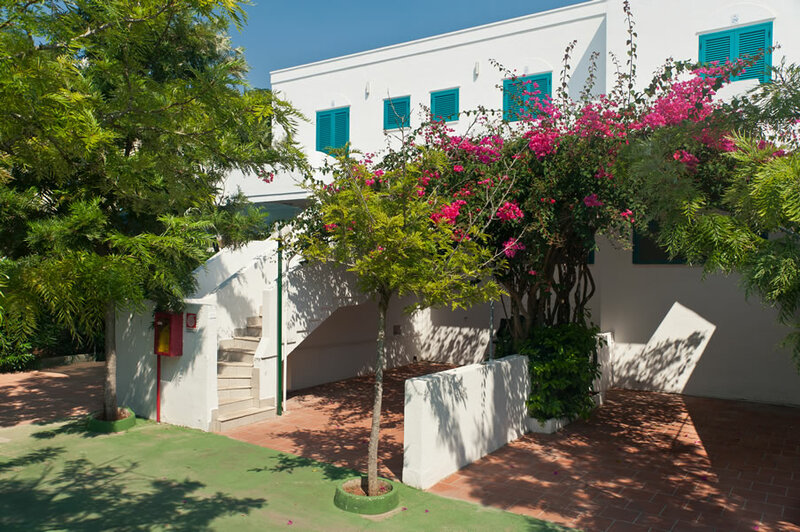 The self catering apartments are divided into Bilo 4, Bilo 4 Rosa, Trilo 6 and Trilo 6 Rosa. 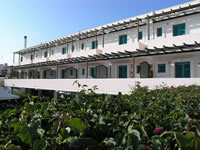 The "Rosa" apartments are adjacent to the hotel, all on the first floor and with no phone. 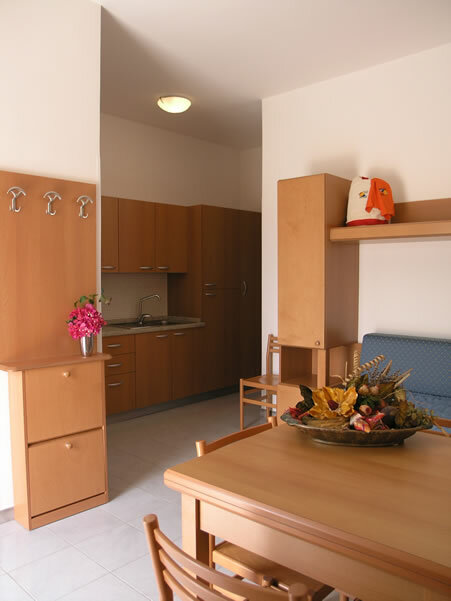 Bilo 4: living room with kitchenette and bunk beds, double room, some with single room. 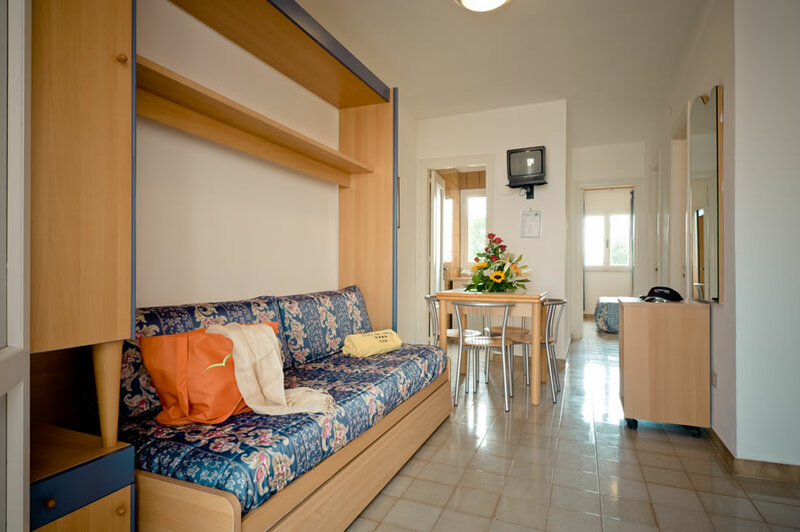 Trilo 6: living room with kitchenette and double sofabed, double room, small room with bunk beds. 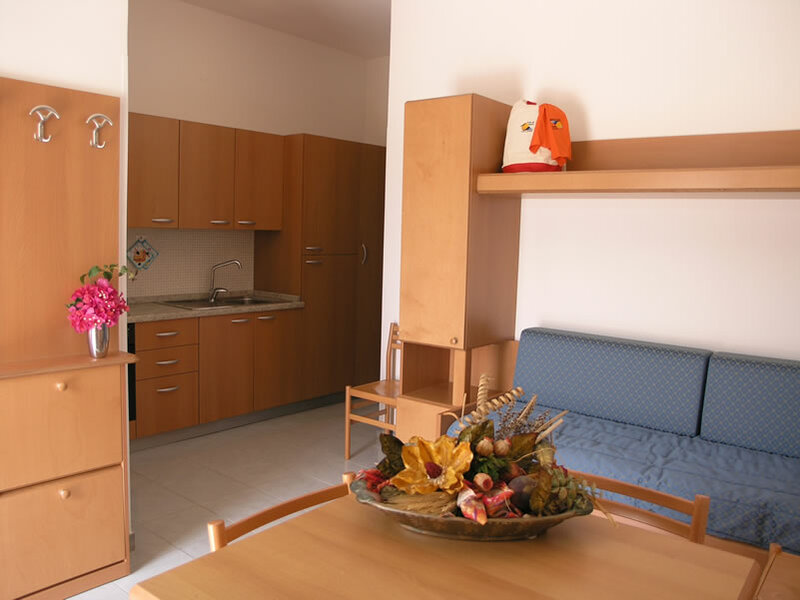 Bilo 4 Rosa: living room with kitchenette and double sofabed, double room, balcony. 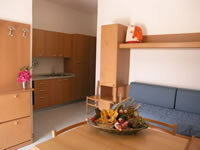 Trilo 6 Rosa: living room with kitchenette and sofa bed, double room, small room with bunk beds, balcony. 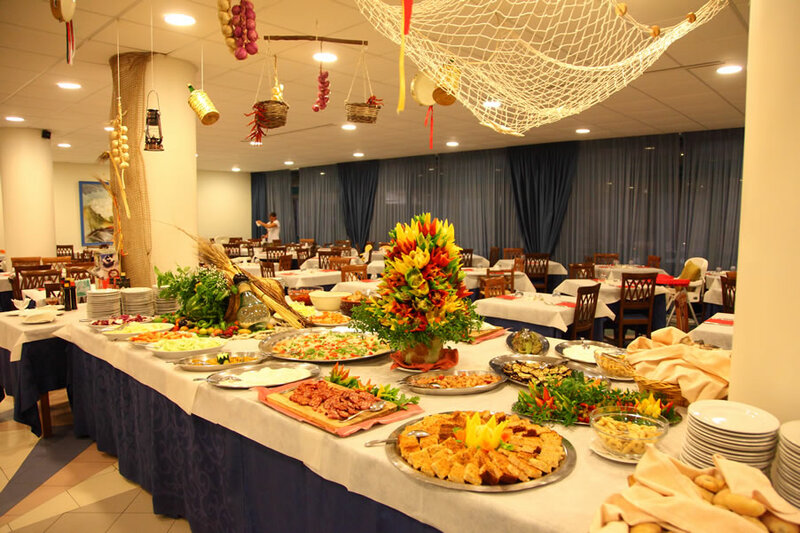 From Saturday to Saturday. 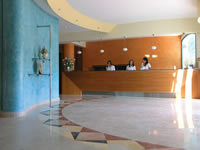 Check-in from 5pm, check-out by 10 am.